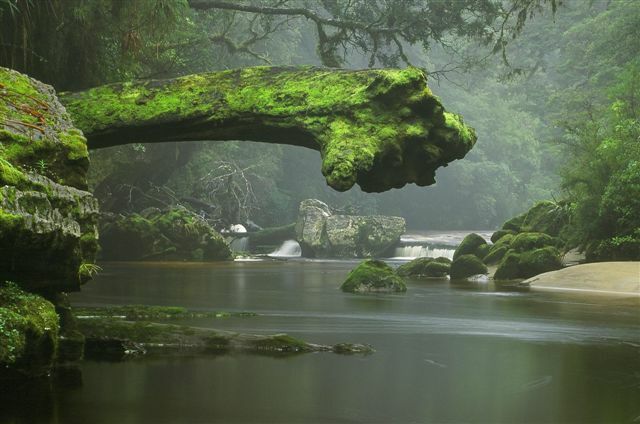 The West Coast is a region of New Zealand’s South Island known for its wild weather and untamed natural beauty. The West Coast is also a ways off the typical tourist map, lending the area a laid-back, far-away vibe that many people come to New Zealand specifically to find. Karamea marks the northern end of the line as for as the West Coast goes. If you aren’t headed this way to start walking the Heaphy Track, there’s nothing much else to bring you up this far. However, since you’re here, you might as well take a few days to enjoy this way-off-the-beaten-track destination and check out the limestone arches nearby. 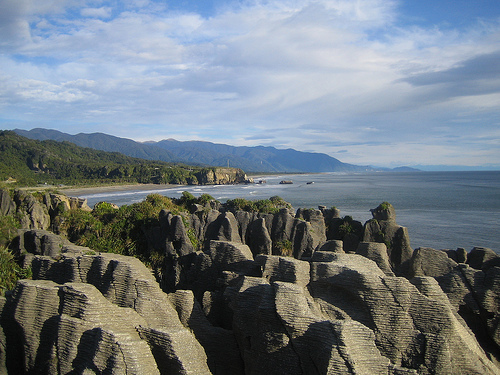 Without a doubt, one of the West Coast’s greatest attractions are the Pancake Rocks. These pillars of limestone resemble stacks of pancakes (hence the name), and put on an amazing show when the tide comes in. Figure out the best time to go (there’s a sign) and take a stroll along the walkways as the spray is funnelled up through the rock into some fantastic blowholes. 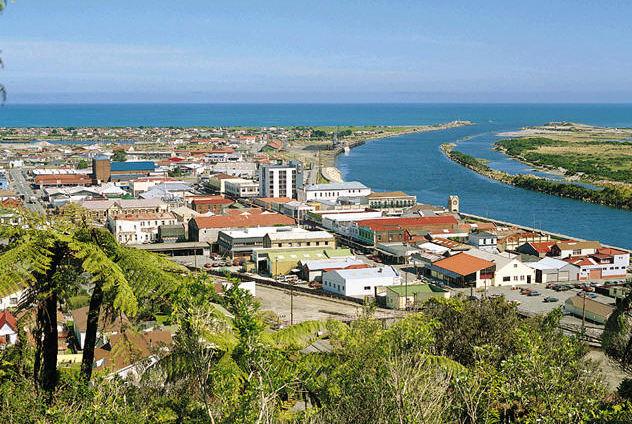 Greymouth is the largest town on the West Coast, so you’re likely to find yourself here at some point, if only to use the ATM and fill up your car with gas. The town itself isn’t much of an attraction, but spending an evening in one of the town’s low-key pubs is a great way to get a feel for life on the West Coast. You can also catch the train to Christchurch from here: one of the most beautiful train journeys in the world. This little town may sleep for much of the year, but every March the Wild Foods Festival draws thousands of visitors here. If the timing works out, make sure you’re in town to try all of the wild and wonderful snacks on offer: huhu grubs, venison and whitebait fritters are always popular choices. Much of the West Coast was founded by gold-seeking pioneers, many of whom struck it rich in this region. Shantytown, a gold rush themed heritage park, tells the story of the population boom around 1864. 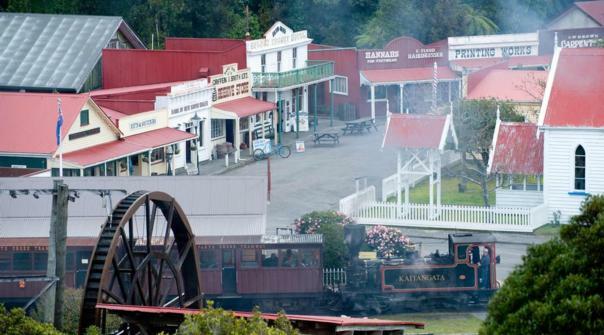 You can take a walk through the buildings—recreated to represent a gold rush-era town. Not only is it a great way to experience the region’s history, but it’s a fun attraction for families. 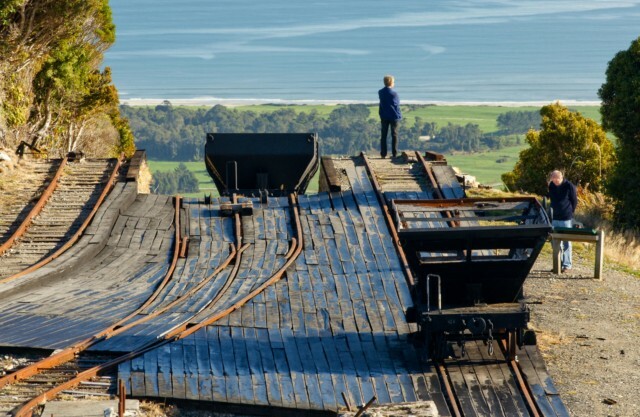 Like Shantytown, Denniston is an historical look at the mining industry that brought so many settlers to the West Coast. 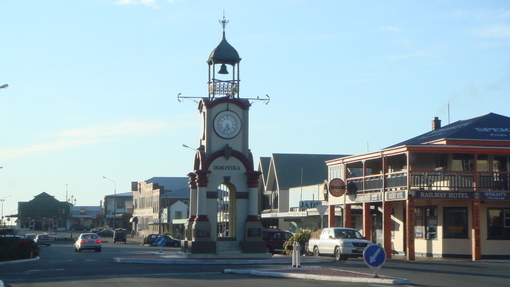 Unlike Shantytown, Denniston is a former coal mining town that has been in decline since the mine ceased operation in 1967. You can explore the remnants of this ghost town on your own, or with a guided tour. Fox and Franz Josef Glaciers are two of the most accessible glaciers in the world. You can walk to the base, where the ice meets the ground, or take a short hike to scenic lookouts. If you’re game, you can take a guided hike or heli-hike on top of the ice for and astounding view. Whitney Cox is a blogger based in Christchurch, New Zealand. She writes on behalf of several great options for Franz Josef Glacier accommodation. Be sure to book your accommodation West Coast in advance, to minimize stress and make the most of your West Coast vacation.